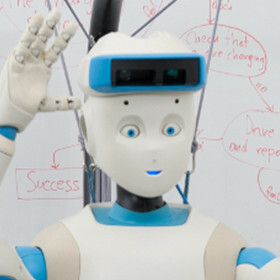 In many application fields of human robot interaction, robots need to adapt to changing contexts and thus be able to learn tasks from non-expert humans through verbal and non-verbal interaction. Inspired by human cognition and social interaction, we are interested in mechanisms for representation and acquisition, memory structures etc., up to full models of socially guided, situated, multi-modal language interaction. These models can then be used to test theories of human situated multi-modal interaction, as well as to inform computational models in this area of research. Which kind of data is adequate to develop socially guided models of language acquisition, e.g. multi-modal interaction data, audio, video, motion tracking, eye tracking, force data (individual or joint object manipulation)? How should empirical data be collected and preprocessed in order to develop socially guided models of language acquisition, e.g. collect either human-human or human-robot data? Which mechanisms are needed by the artificial system to deal with the multi-modal complexity of human interaction. And how to combine information transmitted via different modalities - at a higher level of abstraction? Models of language learning through multi-modal interaction: How should semantic representations or mechanisms for language acquisition look like to allow an extension through multi-modal interaction? Based on the above representations, which machine learning approaches are best suited to handle the multi-modal, time-varying and possibly high dimensional data? How can the system learn incrementally in an open-ended fashion? Keynotes will be given by John Laird, Professor at the faculty of the Computer Science and Engineering Division of the Electrical Engineering and Computer Science Department of the University of Michigan, and Chen Yu, Professor at the Computational Cognition and Learning Lab at Indiana University. Articles should be 4-6 pages, formatted using the AAMAS 2019 Author's Kit. For each accepted contribution, at least one of the authors is required to attend the workshop. Authors are invited to submit their manuscripts in PDF here.